There ain’t no way to hide your lyin’ eyes” – Lying Eyes, The Eagles. In perhaps one of the most widely disputed judge’s decisions in recent boxing history, the Tyson Fury vs Deontay Wilder twelve round show down for Wilder’s World Boxing Council (WBC) heavyweight championship of the world was officially ruled a split draw by the three judges ringside. With the final scores of 115-111 (Wilder), 114-110 (Fury) and 113-113 being the final tally in a widely controversial decision that will be the subject of debate for years to come. The real winner of the Fury vs Wilder fight was the casino of course, who managed to keep the bets placed on both Tyson Fury and Deontay Wilder due to the judge’s controversial split draw ruling. With minimum payout to the certain minority with the foresight to see a potential draw occurring well before the final bell sounded, the inevitable question needs to be asked, what should be done to fix the widespread judging controversy in combat sports? Boxing sage Teddy Atlas appeared on episode 1173 of the Joe Rogan Experience in September, 2018 and addressed the issue of infrastructure in boxing. Boxing has no real accountability, no structure across the board, no, no real, you know, lateral structure and conformity. Nothing unilateral. Because you have different states that have different commissions and they’re supposed to be tied together but they all act differently. And there is no national commission, there’s no body, there’s no dictator, there’s no czar, there’s no NBA commissioner, there’s no NFL commissioner, there’s no MLB commissioner that overlooks and police’s the whole sport. And, there’s no separation of church and state so to speak, where the people making the money in the sport are separated, truly separated from the people supposedly administrating the sport. There’s no separation. They, I mean, promoters actually, that are making the money and have obviously a horse that is running in the game so speak that night, that they want that fighter to win, they pay the judges. “At championship fights, promoters are required by sanctioning bodies to pay ring officials’ fee and expenses” writes Bill Brubaker in his 1993 Washington Post piece “Tokens of Appreciation Beg Question of Ethics.” This is the modern equivalent of stating the Ultimate Fighting Champion is required by the Nevada State Athletic Commission to pay the referee and judges fees and expenses to put this into perspective. And points to a synergetic effect where the church meets the state as Teddy Atlas described it as the various wheels of the machine are working together where there should be significant compartmentalization to protect the legitimacy of the sport from the perception of impropriety. “Is it a conflict of interest? No, I don’t think so,” said Jose Suleiman, World Boxing Council president” according to the 1993 Washington Post report. Legendary mixed martial arts referee Big John McCarthy is quoted as having stated on his podcast “Let’s Get It On!” concerning the topic of referee compensation, “but to sit there and say I would do it for free anyway… I probably would. Now I don’t want to tell a bunch of promoters that but I love the sport of MMA” according to a 2015 sportsjoe.ie article titled “Big John McCarthy reveals the ridiculously low sum he’s getting paid for refereeing McGregor vs Aldo” by sports writer Darragh Murphy. McCarthy went on to say, “as far as how much we make, they put it out there. Nevada pays more for a championship fight than any state pays any official so that $1,900 is the most you’re going to see. Thank you very much, Nevada. It’s very nice of you to give us that much. I appreciate it.” In reviewing the Washington State legislator’s website (http://apps.leg.wa.gov/WAC/default.aspx?cite=36-14-120), we find guidelines laid out in WAC 36-14-120 pertaining to the compensation of event officials by promoters. “The following minimum fees shall be paid by the promoter of the event to the event officials,” reads the first header on the state government website which is followed by a compensation evaluation chart. Searching for more definitive answers on the matter of combat sport ring official compensation, we look to the Nevada State Athletic Commission’s website where a noticeably vague description of judicial compensation is revealed on subject. 1. A judge is not paid a salary or provided any benefits. 2. A judge is compensated at the conclusion of each event. The range of compensation varies depending on the particular contest. 3.There is no guaranty of a certain number of assignments or a specific amount of compensation in each fiscal year. Assignments to specific contests are at the discretion of the Executive Director and NSAC and are based on experience, recent performance, reliability, professionalism, and difficulty of assignment. While the judges are ultimately left holding the bag when the controversy erupts from their final scoring tallies, the subjective nature of their performance in relation to their compensation is ultimately based off their “experience” and “recent performance” evaluations by the Nevada State Athletic Commission themselves. 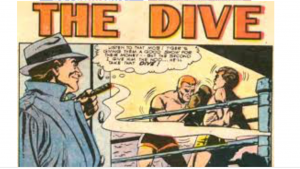 Perhaps the obvious needs to be stated; the judge’s performance in evaluating fights is based off the judge’s experience working for their employers, and scoring fights how those who sign the paychecks feel the judges should be performing their duties and scoring fights. And therein lies the problem with judging the winners and losers of fights. While the public is viewing the fight through the lens of who clearly won the fight from a spectator and sporting etiquette perspective, the judges are scoring fights based off a specific criterion as prescribed to them by the commission. The two points of perspective should never be confused with one another, because one is centered around the concept of justice, right versus wrong, and the other is centered around satisfying the expectations of the employer, otherwise known as the commission or sanctioning body. According to a 2017 mmamania.com article from Jesse Holland titled, “NSAC offers no comment on ‘theoretical conflict of interest’ after Fertitta employee joins athletic commission,” it was reported that Staci Alonso was appointed to the NSAC in December 2016. “Then came word that Alonso was the executive vice president at Station Casinos, which just so happens to be owned by Lorenzo and Frank Fertitta, who sold Ultimate Fighting Championship (UFC) to WME | IMG for roughly $4 billion dollars.” Lorenzo Fertitta himself is a former member of the Nevada State Athletic Commission according to an August 8, 2012 Washington Post article titled, “Fertitta brothers turn Ultimate Fighting Championship into a Juggernaut” by Matthew G. Miller for an eye-opening revelation on the relationship between the casino, promoters and the commissions themselves. At the time this article is published, according to the boxing odds at youwager.eu, Deontay Wilder is a -159 favorite and climbing to defend his title (wager $159 to win $100) while Tyson Fury is a +141 underdog (wager $100 to win $141) to dethrone the champion, Wilder. The betting story behind this fight has been early money coming in on Fury. This has created the value for Wilder leading up to fight day. Expect this line to move for Wilder and I wouldn’t be surprised if the closing line was closer to -175 by the time the bell for round one rings. With Wilder being the casino’s favorite to win, the casino obviously stood to lose a great deal in the event of a Fury upset. There were certainly quite a few boxing pundits who viewed the odds on Deontay Wilder being the favorite to win as ultimately translating into the possibility of a Tyson Fury upset being an enticing proposition to roll the dice on. With the fight ruled a draw, the casino only paid out to those who bet on the unlikely event of a draw and kept the money from all other bidders. The winner of the bout wasn’t the competitors, and it certainly wasn’t the fans, but it can be safely said that the casino came out the best of them all with untold financial gains between the various betting houses. Fixing the widespread controversy in combat sports will ultimately depend on shining a light on the issue and keeping it under constant surveillance while leaders in the industry like the Teddy Atlas’s of the world campaign to bring additional oversight and accountability to combat sports. When familiar and sympathetic faces are transitioning from commissioner to promoter, or casino and promoter to commissioner a theoretical conflict of interest may arise that simply refuses to die in the face of regular and overwhelming controversy. The question of what should be done to fix the widespread judging controversy in combat sports has a simple, yet complex answer; completely overhaul the system itself. A proposition easier said than done in the age of big money and lobbyist in the sports entertainment industry. So, you want to change the world? First, you need to understand how the world actually works before you can attempt to change anything. 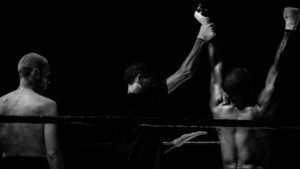 For the long-time fight fans reading, you will already know that when you look up the definition of corruption in the text book, boxing and mixed martial arts are the first two examples that you are going to find cited. No, not really but I am not far from the truth either. When an unholy alliance between sporting competition, entertainment and the world of high stakes financial risk and reward come together corruption is the word resting on the lips of the weary. Welcome to the sports entertainment industry. If you follow combat sports long enough, you are going to inevitably run across instances where a fight wasn’t refereed or judged in a manner you ultimately agree with. Often times fight fans will struggle to explain away these perceived injustices with statements like the referee is incompetent or wondering out loud to one’s self what fight the judges were actually watching. But what if incompetence, less than 20/20 vision or even stupidity have nothing to do with their controversial decisions? What if we are giving everyone involved too much credit? And their true motives and intentions are far more sinister than most realize? Highlighted in the 2016 documentary “Dirty Games – The Dark Side of Sports” investigative journalist Benjamin Best interviews former Leon Spinks boxing manager Charles Farrell whom with great insight explains how the fight game actually works. You fix fights to make betting money. You fix fights to get a fighter a championship. You fix fights to maneuver a fighter up the ranks toward a championship fight. You fix fights to win, in order, again, to position someone strategically. You fix fights to lose, in order to get paid and in order to make, you know, betting coups. The way you fix fights varies greatly. You fix fights by buying judges. That’s, you know that’s one of the easy ways to do it. You fix fights by having the referee working for you, so that, if there’s any way that the ref can stop a fight in your guy’s favor, he does. You fix fights by colluding with the fighters, generally the loser. Its almost always the loser. Winners almost never know the fight is fixed. As an avid follower of combat sports for many years, the words of Charles Farrell are hauntingly familiar as an endless array of examples immediately come to mind matching the multitude of fight fixing examples cited. The insight into the combat sport method of operation is invaluable in evaluating modern day match making, the weaponization of oversight, controversial decisions both in and out of the ring and unfortunately, the very nature of the sports entertainment industry itself. Farrell would go on to elaborate on the unspoken but widely understood language used in the fight industry to fix a fight. One of the things you’re cognizant of when you are fixing fights is that you’re doing something illegal. Something that theoretically can wind you up, you know, wind you in jail and get people angry at you. So, you never really say anything. You know, nothing that’s culpable. So, there’s a code and if you’re in boxing for awhile you know the code. Everybody knows the code. Just like the fans, the various promotions and organizations alike have their favorite fighters too. Whether its out of respect for their combat capabilities, financial incentive or marketability some fighters make more “cents” than others. Is it possible some fighters are protected while the lions are matched up together and killed off? Is it possible decisions are made based on financial incentive rather than proper sportsmanship etiquette? The answer to that question would ultimately reflect whether or not there was any plausibility to the idea these combat sports entertainment industry bodies employ a particular strategy, road map or bias in their everyday operations or whether they operate with a strict set of criteria with only the best of intentions. As Farrell goes on to explain, there isn’t a level in the combat sports entertainment industry that isn’t potentially on the take or in on the fix. Even the loser of the fight is potentially the key to it all. You will go into a gym where there is either a trainer or a manager and you are looking for somebody your guy can beat. This is how these guys make their money, and its interesting that people who lose in boxing generally speaking, if they’re professional losers they can make more money than the winners. Winning costs money, losing makes money. That’s not true obviously at an elite level, but in almost every other level, it’s the case. It occurs to me that in order to have a professional loser, the loser must also maintain a high enough profile in the victory department to be of satisfactory use when the time comes to lose and lose big. This could easily mean some of the sports biggest stars are in fact professional losers, coddled by various levels of the sports entertainment industry and strategically used when the time is right in order to achieve the maximum desired effect. Some of these fighters are likely useful idiots, unknowingly filling the role of superstar while in fact being food for the true lions. Others know exactly what they are doing. Finally, Farrell reveals how the fix is ultimately signed, sealed and delivered. It reads like something straight out of a mafia flick. So what you do is you say I’ve got a guy and he is “looking for work.” Looking for work is the first. Okay, so, it means that he needs to win. You know, and you want to keep him busy. The response to that is I’ve got somebody. And generally, the second phase is “but he hasn’t been in the gym too much.” Okay, so the subtext there is he is not in good shape, and, so you’re honing in on where this thing is gonna go and you say that’s okay, I’d like a guy to get in a few rounds. That means its going to be a knockout. At which point he goes, “well, you know, okay, I can do that, but really my guy isn’t in shape to go more than three or four. That’s okay.” So, you’ve just fixed the fight. Now that you know how the world works, how do you plan to change it? If you plan to forget about it and move on to the next page perhaps it never really was that big of a deal to begin with. But if you do think it’s a big enough problem that warrants a solution the only real answer is to put a spot light on the issue and demand additional accountability and oversight. Do not take your foot off the pedal, there are no brakes! Ambassadors need to step forward and the message needs to be made clear. No justice, no peace! The next time you see a controversial decision, whether it be from a lone wolf judge’s score card or a questionable decision made by a seemingly incompetent referee keep in mind that not everything is the result of simple mistakes, stupidity or even watching the wrong fight entirely. There is big money to be made in the fight business and only the naïve believe moral and ethical behavior come before profit in the sports entertainment industry. Follow Jesse on Twitter @donathan_jesse.